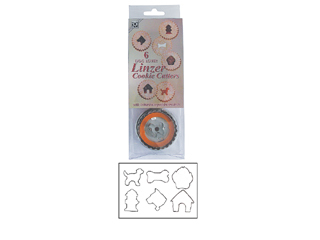 Tinplated steel Dog Linzer cookie cutter set. Includes Bone, Hydrant, Dog House, Dog, Dog Paw, Dog Head. Hand wash and dry thoroughly before storing.